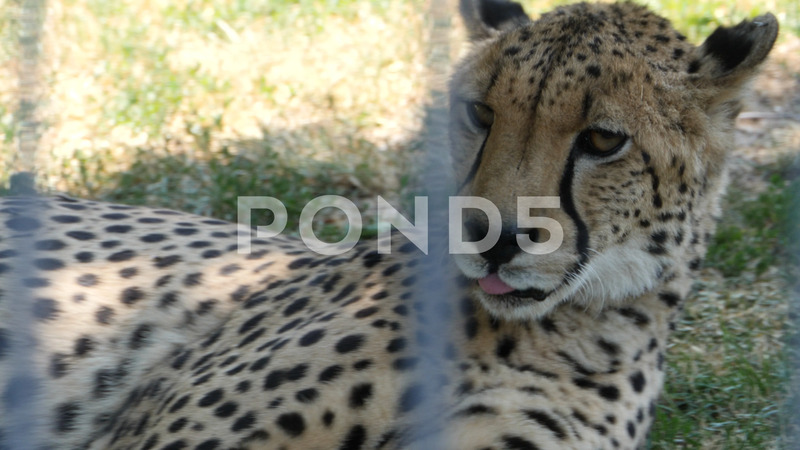 Description: Cheetah laying in grass. It moves its head to the right. Shot behind enclosure fence- blurred fence in the foreground.